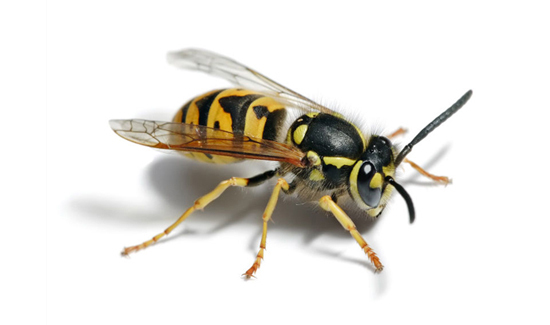 A swarm of angry yellow jackets definitely qualifies as a deadly threat. In Brookhaven, Georgia, a police officer is lucky to be alive after getting stung 100 times by a swarm of yellow jackets. DeKalb County police say the incident started when a suspect struck one of their squad cars on Interstate 85. The suspect fled into a wooded area and the Brookhaven officer and his K-9 went in after him. “They stepped into a yellow jacket’s nest and they were immediately covered by hundreds, if not thousands of yellow jackets,” Brookhaven Police Maj. Brandon Gurley told WSB-TV News. “They were going up his pants leg, up his shirt sleeve, inside of his clothing, up his nose, in his mouth — anywhere that they could get. They were going and they were stinging,” Gurley said. The officer suffered a severe allergic reaction and would likely have died if officers waited for an ambulance. So they drove the officer straight to Grady Memorial Hospital. But there were still lots of extremely pissed off yellow jackets underneath the first officer’s clothes and they also stung the officer driving the cruiser to the ER. He also suffered a severe allergic reaction but is expected to make a full recovery. “He’s in stable condition and he’s continuing to improve and the doctors here are just monitoring him and observing his status,” Gurley said. The K-9 was also stung. He was treated at and released from an emergency vet. Police say it’s just another indication that the job can hurt or kill you in a thousand different ways – be it an armed assailant, an icy road, or in this case a swarm of thousands of yellow jackets. The suspect that led the officer and the K-9 into the woods was found in a ditch complaining about an injury he suffered while trying to escape.